Every so often a book is published that oozes emotional intelligence. This is one such novel. Told from the point of view of a young girl in the care system in the 1980’s, the book is much more than its plot or subject matter. The author Christopher Edge recently asked on Twitter for examples of a distinctive outstanding voice in children’s fiction. I would recommend this book to him. Written in the first person, eleven year old Ira (the protagonist) steps out of the book and into the reader’s head. This wall cleverly blends in with the historical setting of the book, which treads from 1987 to 1990, incorporating the huge storm of October 1987 in Britain as well as the protestations over the poll tax, and finally the taking down of the Berlin Wall. The events are woven carefully into the narrative, and each one resonates with the children in a different way, but again, with layers of intelligence so that they fit into the plot – or rather the plot fits into them. This is not a complicated plot, a huge tragedy, an outlandish comedy or a blaring book. The whole story is understated, and yet reaches a perfection that few books with wall-to-wall marketing reach. This is a stand-alone title – the author makes this clear from the ending, in which the protagonist is grown up, and it’s refreshing in children’s literature to read about what happens to the characters when they are older – this device reminded me slightly of Carrie’s War. 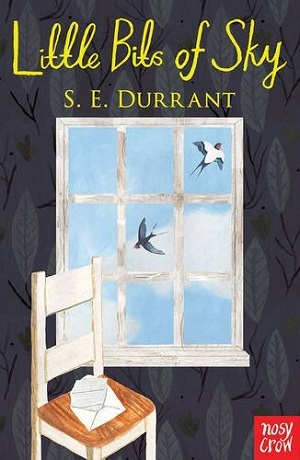 But this title should be shouted about for the authenticity of Ira’s voice, for the tangibility of the characters – by the end of the novel I was crying for two reaons – the uplifting spirit in which it ended, and because by finishing the book I had come to the end of a beautifully written children’s book. Treat yourself. Read it to your child so that you can both enjoy it. You can buy it here.